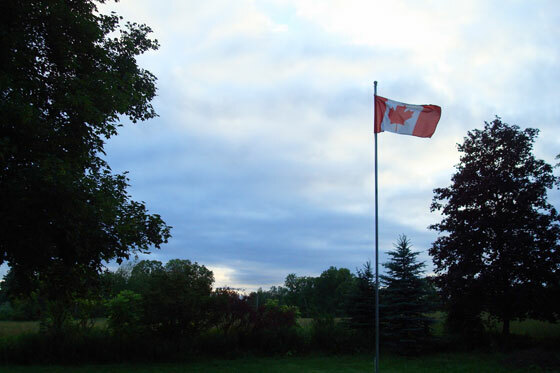 For years, I have wanted to have a Canadian flag flying at my house on July 1. This year, I finally do. Thank you! It took awhile to get this picture, as we had dreary, rainy, dim days all week leading up to Canada Day. I finally got this picture at sunrise the day before Canada Day.